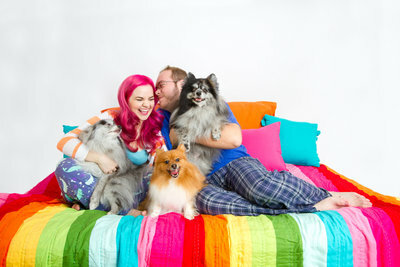 I’m starting to think that Pomeranians are natural models in front of the camera. I have yet to meet a fluff muffin that doesn’t like having their photo taken. Piccolo and Sophie were adorable, super fluffy (these sisters put my poms to shame in the undercoat game), well behaved Pomeranians on the day of our Glendale photo session!